Greg has written articles on Hair Restoration for magazines such as Trends in Urology and Men’s Health, Body Language Journal and the International Journal of Aesthetic and Anti-Ageing Medicine, He has been invited to author the Hair Transplant Chapters of the Oxford Textbook of Plastic Surgery, The Oxford Handbook of Plastic Surgery, and the University College London Handbook of Plastic Surgery. One of his main focuses is on the regulation of the Hair Transplant Surgery field in the UK and as the current President of the British Association of Hair Restoration Surgery (BAHRS), he has written the Professional Standards and Codes of Conduct for both Hair Transplant Surgeons and Hair Transplant Surgical Assistants, and these have been published in the ISHRS Hair Transplant Forum International. He has also authored UK Hair Transplant Clinical Standards on behalf of the BAHRS and will be contributing to the future Hair Transplant Training Curriculum and Criteria for Hair Transplant Surgeons Credentialing as part of the Department of Health’s regulation of cosmetic interventions. Since 2003, Greg has lectured Plastic Surgery trainees on Hair Restoration and more recently has been appointed to the Faculty at University College London’s MSc programme where he lectures on Hair Anatomy, physiology, biology, embryology and genetics as well as the causes of hair loss and hair transplant surgery. Greg has been a member of the faculty at ISHRS-Sponsored Live Surgery Workshops in Manchester and at the International Society of Hair Restoration Surgery (ISHRS) 22nd Annual Scientific Meeting in Malaysia. He also lectured at the world’s first ARTAS robotic assisted live surgery workshop held at the Farjo Hair Institute in November 2013 and again at the second one held in March 2014 where he has taught doctors from around the world. Renowned and well-respected plastic surgeon, Dr Greg Williams, is the lead Hair Restoration surgeon at Farjo’s 152 Harley Street Practice. Dr Williams, joined the Farjo Hair Institute with over a decade’s experience as a top consultant burns surgeon which saw him treat patients for burn scar alopecia equipping him with the necessary skills used to treat genetic male and female pattern hair loss leading him to his current field. 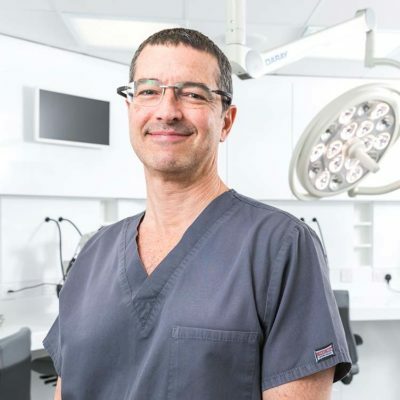 Throughout his career, Dr Williams has acquired an impressive array of the field’s most respected qualifications including the Fellow status by the International Society for Hair Restoration Surgery (ISHRS) in 2014. He chaired the Beginners’ Course at the 24th ISHRS World Congress in Las Vegas in 2016, and was commended for dedication and commitment to the ISHRS in promoting high standards of safety and quality of care for hair loss patients. Dr Williams provides the highest level of care for his patients and for him it remains immensely satisfying, both personally and professionally, to be able to help patients regain their confidence by restoring their hair. Along with the rest of the Farjo team, he strives daily to use the latest techniques and technologies in the field of hair restoration surgery on his patients to help further Farjo as world leader in terms of hair transplant surgery quality, innovation, research and education.